These Weight Watchers Points for restaurants will help you stay within your limits and lose weight. Eating out can be difficult, but armed with the right information will help you achieve your goals. 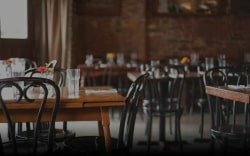 You will find the Smart Points, Points Plus and original values for many of your favorite restaurants. Also includes many nutritional information for those of you counting calories, carbs, fats and more. 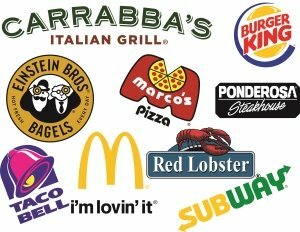 Some of the more visited places include McDonald's, Red Lobster, Subway, Taco Bell, TGI Friday's and so many more. You are sure to find something within your daily allowance to help you reach your weight loss goals. If you are trying to lose weight then knowing the values in the foods you eat are important. The restaurant points and nutrition information on this page can be used by WW members or anyone tracking what they eat. All restaurants will show the new Smart Points as well as the values for previous programs such as points plus. So if you haven't made the switch, don't worry you can still track your numbers. The nutrition information for many restaurants include calories, total fat, saturated fat, dietary fiber, protein, carbohydrates and sugar. While not all restaurants are on this list, it is growing each week. So keep coming back to this page to find your favorite place and look up the points. If you are not a member, use the restaurant nutrition to make healthier selections and help you reach your diet goals. To find the Restaurant Points or nutrition for your favorite place to eat out, scroll through the table. You can also use the drop down box to filter the table by alphabet. If you are looking for a specific restaurant, use the search box to type in the name. You can also type in a partial name or term. As an example, if you type in "burger", you will see all restaurants that have "burger" somewhere in the name. Once you find the restaurant you want the Smart Points for, then click on that link to take you to the page with the nutritional and Weight Watchers points information for that restaurant. Be sure to track the information to help you reach your weight loss goals. You can download this free Freestyle Points Tracker spreadsheet. This spreadsheet is design just for the new Freestyle plan and will roll over your unused daily point - up to four per day. It tracks your daily and weekly allowance and you can input your fitpoints earned. If you are still on the other plans (or are not yet using the FreeStyle), then use this Points Tracker spreadsheetinstead. It works for any of the programs. You just plug in your details (daily allowance, weekly allowance) and the worksheet will automatically update the remaining values as you put in the foods you have eaten for the day and week. If you do not see your favorite restaurant in the Weight Watchers Points list above it could be that the restaurant either has not been requested or does not provide the proper nutrition information. It also could be that the restaurant uses an interactive nutrition calculator. For those restaurants that use these calculators, they do not provide a file (or online list) of all the foods. This means each menu item has to be looked up one at a time. It is designed this way so that you can customize it to your liking. What this means for us is that we are unable to get the complete list with nutrition in order to put it on this list. For those resaurants, I suggest you look up the menu item on their site, and then head back here to use the Smart Points calculator to find out the points. I receive questions and requests daily about the restaurants and their Weight Watchers points. In order to address some of the most common requests and questions I've added a FAQ page to address these. Be sure to check out the Weight Watchers restaurant points FAQ page before sending your question or request. Find out more about Weight Watchers new FreeStyle program and how it works with the SmartPoints. With over 200 foods on the zero points list, you will want to start free styling today. Find out how the values are determined for the SmartPoints method. Knowing what nutritional values and used and how they are weighted will help you make healthier food selections. Download this free spreadsheet to record and track the foods you want. Plug in your daily and weekly allowance to make sure you don't go over.